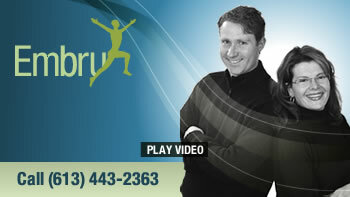 Our chiropractic website is especially designed for health-conscious folks in Embrun. The Embrun Chiropractic Clinic searches for the best way to allow our patients to experience the highest quality of life available by continually teaching a proactive, effective model of health. Naturally, chiropractic helps traditional neck and back problems, but chiropractic has also produced wonderful results with a variety of organic and systemic problems. Chiropractic is safe. Chiropractic is natural. And Chiropractic works! Find out why other Embrun-area residents prefer the chiropractic care that we provide at Embrun Chiropractic Clinic. Call our Embrun chiropractic office to arrange a consultation today and find out if you’re a good candidate for today’s chiropractic care! Maximizing health for chiropractic patients in Casselman, Russel and Embrun.